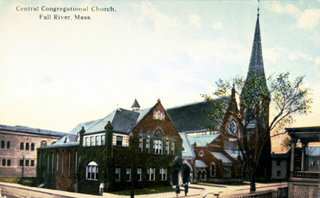 The old Central Congregational Church, where Lizzie attended has hosted several Lizzie Expos and served as a setting for an Aerosmith rock video. Today it is a training school for chefs and a first class restaurant called The Abbey Grille. 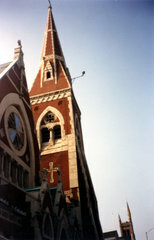 The Grille is situated in the old church hall, where Lizzie’s welcome home party took place on her return from the Grand Tour in 1890. The restaurant is open daily for lunch and dinner. Visit the website at http://www.iicaculinary.com/iica-students.htm and the Abbey Grille at http://www.iicaculinary.com/abbey.htm.